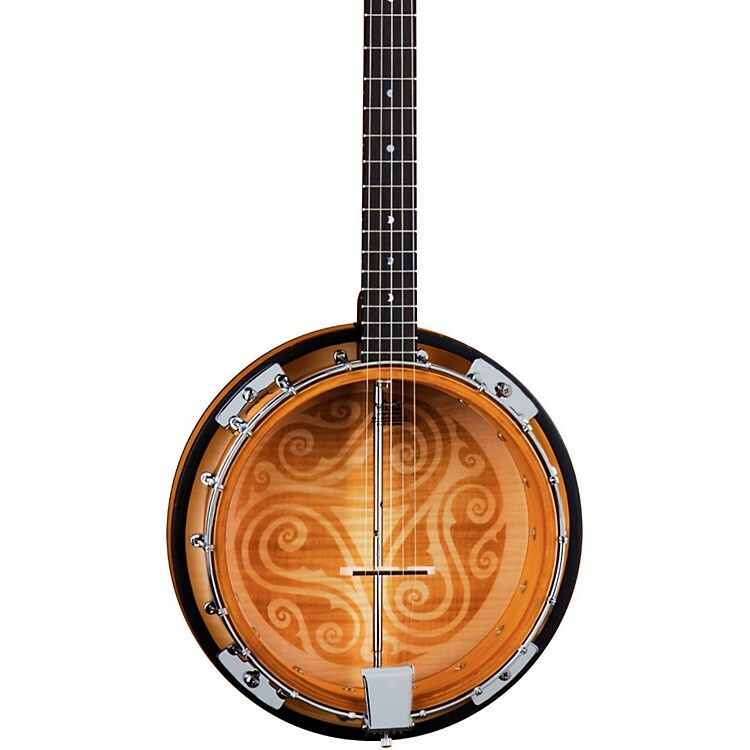 This Celtic 5-String Banjo is set up like any other banjo, but its clear resonant head and laser-etched mahogany resonator will please the eye. Pluck your way into the future with a rosewood fretboard adorned with Luna's signature mother-of-pearl Moon Phase fret markers and vibrant chrome hardware. Case sold separately.